Avon REVIEW – Is it just a make-up or is Avon the real deal? If you’re reading this review, chances are you’re looking for some information on Avon. Someone may have contacted you about the Avon business opportunity, or you may be considering purchasing one of the Avon products. But either way, I would encourage you to read this review in its entirety before making any decision. In this brief but informative review, I’ll cover Avon International as a company, the Avon business opportunity and what you need to get a totally unfair advantage and position yourself to have success if you decide that Avon is the right company for you. I will tell you in advance that I AM NOT A AVON DISTRIBUTOR OR AN AVON CUSTOMER so this is a totally third party unbiased review of both the products and the opportunity. Avon – The Company – Who are they? Avon is a company that sells various cosmetic and fragrance products through a direct sales business model. Avon is probably the most recognized brand in cosmetics, and is also one of the oldest direct sales companies around. The company was started in 1886 by David H. McConnell in New York. 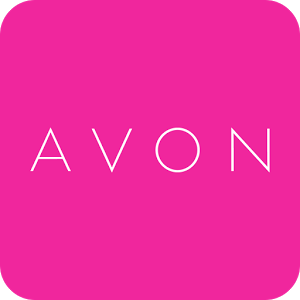 It was originally named California Perfume Company, until the name was changed to Avon Products, Inc in 1939. Avon is based in New York, but has a Research and Development facility in Suffern, New York and a distribution facility in Zainesville, Ohio. Currently, Avon is operating in over 140 countries and does well over $10 billion a year in sales. Which is a very impressive accomplishment, considering that the vast majority of their products cater to females only, thus half the market place. Andrea Jung current , Chairman and CEO of Avon Products, Inc., was appointed in 1999 and elected Chairman in 2001. She has been a member of the Board of Directors since January 1998. Charles Cramb, Vice Chairman, Developed Market Group also currently serves as Interim Chief Finance Officer, Mr.Cramb joined Avon in November 2005 after a 35-year career at Gillette Co., Charles M. Herington was appointed Executive Vice President, Developing Market Group in 2011 and has joined Avon in March 2006 after 25 years of experience working in Latin America with major brand name consumer marketing companies. Before joining Avon, Mr. Herington spent six years at AOL Latin America as President and Chief Executive Officer. 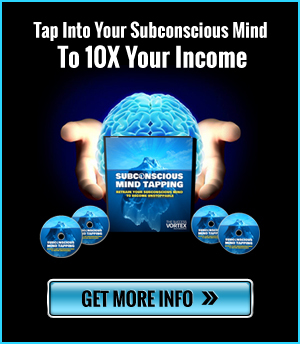 If your upline sponsor doesn’t have a step-by-step blueprint for you to generate 50+ leads a day for your MLM business, on complete auto-pilot, drop whatever you are doing and… Click HERE! As far as their products go, Avon markets too many products to mention. However, they have many well-known product lines. Their flagship Avon Color brand includes various cosmetic products like eye products, nail products and different powders. Their Beyond Avon product line includes various anti-aging color cosmetic products. They also have a popular skin care product line called “A New and Solutions”. To round up the spectrum they also have a bath and body product line called Avon Naturals. In addition to those very popular product lines, Avon sells a hair care line, a wellness line, a fragrance line and a line that caters to men. Without a doubt, Avon carries some very high quality and brand-recognized products in the cosmetics industry. Another unique force that contributes to Avon’s success is the fact the organisation provides a non-costly avenue for individuals to enter the retail industry with a very low start-up cost and they also created the potential for large returns on their little investments. Likewise, Avon gives room for flexibility, enabling their representatives’ opportunity to be able to juggle family life with earning good income from the comfort of their home. 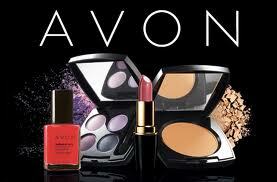 The start-up fee for the Avon business opportunity is as low as US$10. Compared to the many companies out there, this is a very affordable investment and a really fantastic way for someone with limited budget to generate residual income from home. The Avon compensation plan pays out several ways including up to 50% commissions on personal sales, up to 12% override commissions on your team’s sales, a luxury car bonus you can earn based on performance and an additional performance bonus based on unit sales. Of course, your income isn’t guaranteed and it’s based on you and your team’s performance, but the average President’s Council Member earns around US$50,000 a year and the average Inner Circle Member makes over US$100,000 a year, which is pretty remarkable. All in all, for the right person, Avon may be a fun and lucrative business venture. Also, from a business and marketing standpoint, it doesn’t hurt to have many A-list celebrities endorsing different products and having them on the company site. Avon – Is It A Solid Business Opportunity? In closing, Avon is a credible company that offers a solid business opportunity. However, even though this is the case, the company, the products and the compensation plan will not guarantee that you will have success with Avon. In fact, unless you learn how to become a professional marketer and generate a steady stream of quality leads to speak with about Avon, you will end up being another casualty of the industry. Pitching your friends and family will only take you so far. With this strategy alone, most people last between 6 to 8 weeks. Without a steady stream of qualified leads to talk to about the Avon business opportunity, your chances of succeeding are slim to none. Once you learn how to use attraction marketing strategies, not only will you have a steady stream of leads, but many days your phone will ring with INCOMING CALLS from people that are seeking you out as a leader that can help them gain success. With a steady stream of leads, quite honestly, there’s no telling how successful you can be with your Avon business. Interested In Generating Leads For Your Avon Business? My recommendation is that you use a proven Attraction Marketing system that allows you to brand yourself as a leader, generate leads, make money even when people don’t join your business and sponsor people on the back-end. If you can successfully combine a powerful online marketing system with time-tested offline marketing techniques, there’s no telling how successful you can be with Avon. If you are looking for ultimate success with your Avon business, it will require a working knowledge of personal branding and lead generation. Learn to build your Avon down-line by being an Alpha Networker both offline and online. 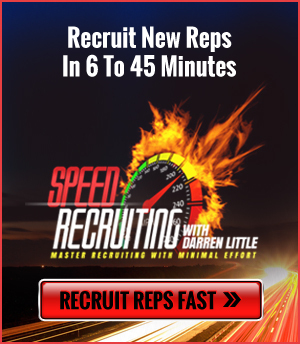 Additional online training to help you Sponsor More Avon Reps is available with Darren Little.Additional online training to help you Sponsor More in MLM is available with Darren Little. Avon is a great opportunity. One of the cheapest ones to get in, and a great one to find a bunch of helpers. This one does best offline. You can learn the strategies of how to find people offline through the best training systems available online. Thanks for your leadership Darren.